Not long after Spuck was dropped as a Flash game being built by Luke Arntson, my roommate Carter Randolph decided to pick up the project. Everything was re-coded in XNA using the art assets and design documents left over from the dropped project. Carter has spent the past few months working on Spuck and now it’s gotten to the point where it’s basically at the same level of functionality it was before and on top of that we have a very robust level editor being developed alongside the game. We have registered our production company as Chocolate Homunculus and will be launching soon! 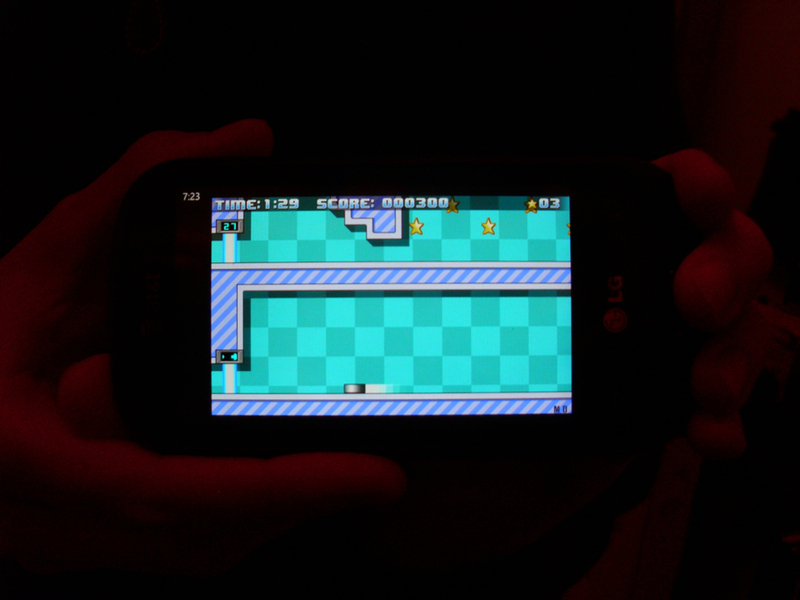 Today we were accepted by Microsoft and we’re now able to run the game on the Windows Phone 7 device. No details on when the game is going to be launched yet or what it will be priced at, but we’re excited to offer our very first mobile game! Posted by phubans on March 12, 2011 in Spuck. i angrily await this game, this duspatcho.